Tan Sri Dato’ Sri Dr Wan Abdul Aziz Wan Abdullah, 64, a Malaysian, is a Non-Independent Non-Executive Director and the Deputy Chairman of Sime Darby Berhad (SDB). He was appointed to the Board on 10 December 2012 and became the Deputy Chairman of SDB on 31 July 2015. 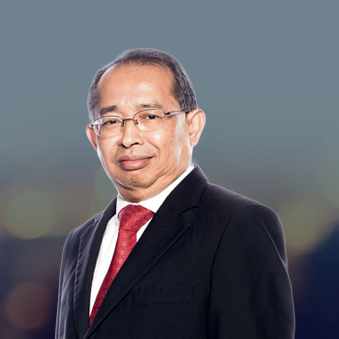 Tan Sri Wan Abdul Aziz holds a Bachelor of Economics (Honours) degree in Applied Economics from the University of Malaya and a Master’s degree in Philosophy in Development Studies from the Institute of Development Studies, University of Sussex, United Kingdom. Tan Sri Wan Abdul Aziz obtained his PhD in Business Economics from the School of Business and Economic Studies, University of Leeds, United Kingdom. He attended the Advanced Management Program at the Harvard Business School, United States of America (USA). Tan Sri Wan Abdul Aziz began his career in 1975 as Assistant Director of the Economic Planning Unit in the Prime Minister's Department. He was later promoted to the position of Senior Assistant Director, Macro-economics in 1984, and subsequently to the positions of Senior Assistant Director, Human Resource Section and Director of Energy Section. He was later appointed as an Alternate Executive Director of World Bank Group in Washington D.C., USA (on secondment by the Government of Malaysia) representing South East Asia Group from 1998 to 2001. He was also appointed as the Executive Director of the Islamic Development Bank and Islamic Trade Finance Corporation based in Jeddah from 2011 till 2013. From 2001 to 2006, he held various important positions such as Deputy Secretary in the Economics and International Division of the Ministry of Finance (MOF), Deputy Director General (Macro) of the Economic Planning Unit in the Prime Minister’s Department and Deputy Secretary General of Treasury (Policy), Federal Treasury in the MOF. In 2007, he was appointed Secretary General of Treasury in the MOF, a position he held until his retirement in August 2012. Tan Sri Wan Abdul Aziz is currently the Chairman of Malaysia Airports Holdings Berhad, Bank Pembangunan Malaysia Berhad, Sime Darby Motors Sdn Bhd and several other private limited companies. He is also a member of the Board of Permodalan Nasional Berhad, RAM Holdings Berhad and Sabah Economic Development and Investment Authority (SEDIA).